I'll start the Rick Walton collaboration story next week--I like to start new stories on Mondays. 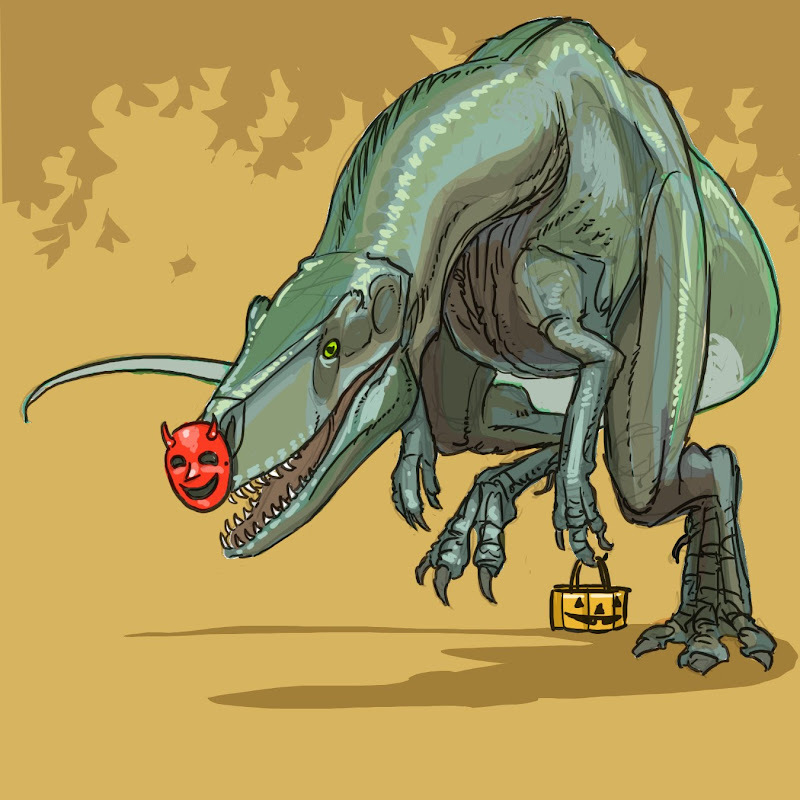 So for today, here's the Halloween Allosaurus--the Hallosaurus. He's dressed as his favorite picture book character, The Devil You Know. What kinds of Tricks or Treats does the Hallosaurus want? A Skipped Day at the Very End? How Could You?